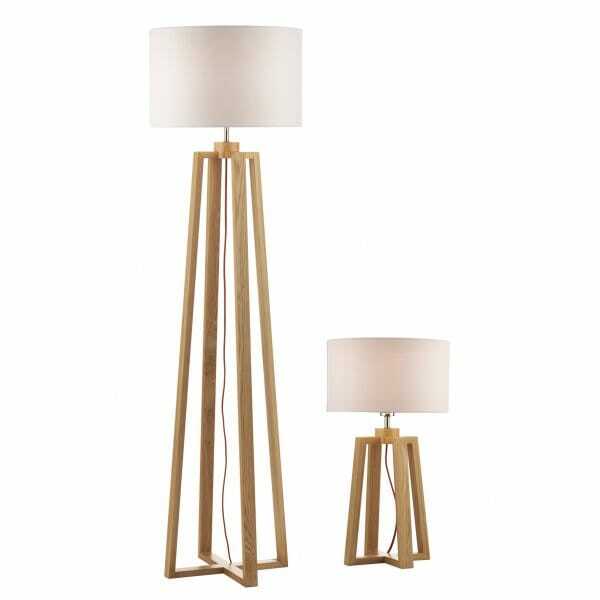 Wooden Table & Floor Lamp - Double Insulated & Individually Switched. These rustic style lamps both have a pyramid design four legged structure made of a light finished wood. Both lamps come with a white faux silk shade and feature red braided cable. They are also both double insulated to allow for safe use without need of an earth wire and are both individually switched, the floor lamp using a foot switch and table lamp using an inline rocker switch. These lights would look great in any rustic cottage setting and would be ideal in a lounge or bedroom.